Order in 16 foot increments. 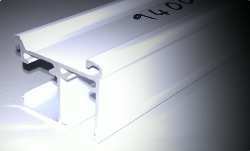 Extruded aluminum, white, black, bronze or anodized finish. Price break 128 feet. Cord draw, ceiling or wall mount. 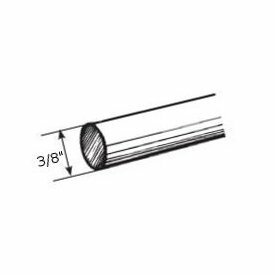 Profile: 1 1/2 inches wide x 1 1/16 inches high inch For pinch pleat or Ripplefold systems. Architrac Series 94001. Maximum weight 80 pounds on two way draw, 62 pounds on one way draw. Maximum length 40 feet butted Priced by the foot To avoid truck shipping When having track cut, choose Cut Track shipping in the Shipping Methods at check out. Maximum cut must be less than 105 inches. Price unit one foot.